You know what trend in mobile is easy to make fun of? Wearables, of course. Most smart watches almost make fun of themselves. At some point in the last few weeks, the marketing folks at HTC and Samsung apparently came to very similar conclusions about the best way to lampoon wearables – gloves. 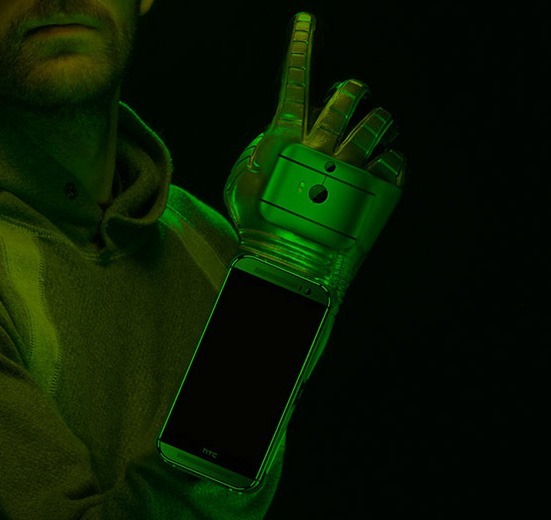 Samsung came up with the Samsung Fingers smart glove, but HTC has just pseudo-announced the HTC Gluuv. Same basic joke, different execution. While the Samsung effort is hyper-futuristic, I give HTC credit for designing something deliciously retro. 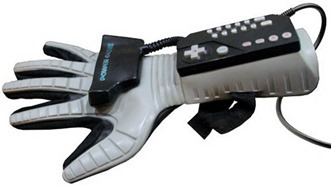 The Gluuv basically looks like a Nintendo Power Glove with an HTC One M8 in place of the gamepad (really, the design of the glove part is almost identical). It's all shiny and dopey looking, and there's a built-in 87.2MP camera for taking selfies armies. If that's not enough, you can buy a giant retro boombox called the BoomBass that's controlled by the Gluuv. 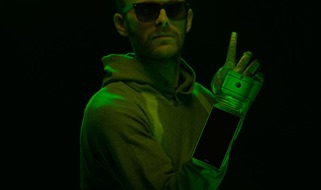 The Gluuv also knows when you're giving a thumbs-up and can automatically like things on Facebook. Sweet. It probably says something about how closely the top mobile companies are tracking each other that something as trivial as an April Fools joke went in essentially the same direction. There's still a whole day of April Fools stuff tomorrow, so maybe one company or the other will have the self-awareness to poke fun at this coincidence in a meta way.